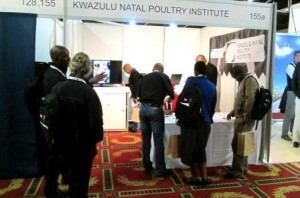 For the first time this year the KZNPI was an exhibitor in the Commercial hall at Avi Africa 2014. 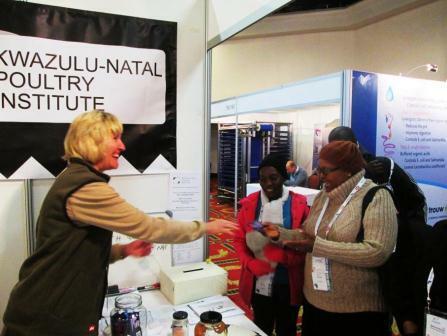 KZNPI staff Aubrey, Ndumiso, Janet and Shelley all spent time on the stand and were kept very busy chatting to all our visitors. Many people entered our competition to win a free training course with accommodation and subsidized training. What your answer could have been? 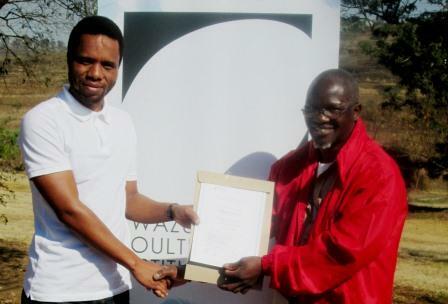 It did not matter which combination that would have been the right one for Mr Jacob Sasebola. He considered every person who visited KZNPI stand, a winner because of the information that was obtainable from stand. Jacob was the grand prize winner of the competition “Guess the eggs in the jar”. Jacob clearly scored big time; not only that he won the course, he also got himself a “Mom” Congratulations Jacob and to you Janet for getting yourself such a handsome son.